While I love bright colors and wild prints, sometimes it's really nice to wear sweet pale colors in blue, pink, lavender and mint. It feels quite appropriate in summer to toss aside the darkness of one's winter wardrobe and don light colors, gentle florals and the sweetest of fabrics like eyelet and lace. 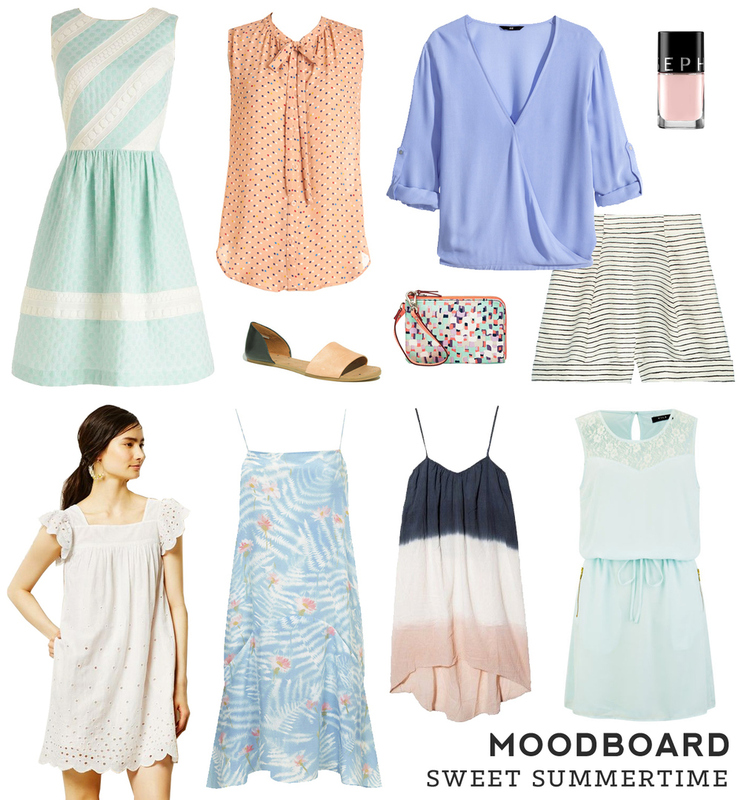 Here are a few of my favorite fashion picks for crafting a sweet summertime look. Check out my Pretty Clothes pinboard for more fashion inspiration!